Ron Howard directs this sci-fi adventure set in the 'Star Wars' universe, featuring a stand-alone story written by Jon and Lawrence Kasdan. The film follows Han Solo (Alden Ehrenreich), a notorious smuggler navigating his way through the galaxy's dark and dangerous criminal underworld. 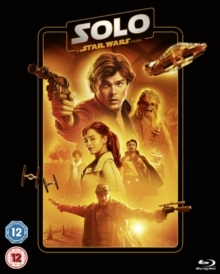 Meeting and forming a strong bond with intimidating Wookiee Chewbacca (Joonas Suotamo), infamous gambler Lando Calrissian (Donald Glover) and old friend Qi'ra (Emilia Clarke), Han sets out on an epic journey through the darkest reaches of space looking to stay one step ahead of some of the most feared characters in the galaxy. The cast also includes Woody Harrelson, Paul Bettany and Thandie Newton.